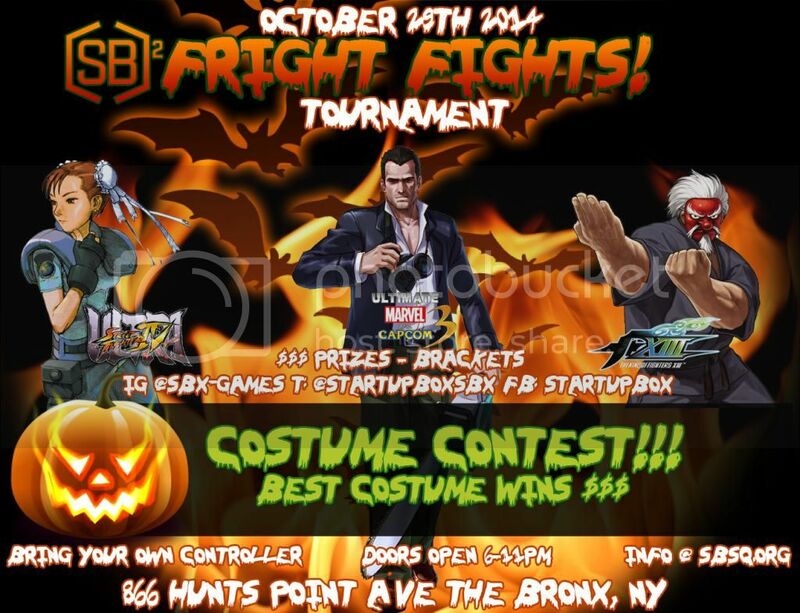 We're having a halloween themed tournament on the 29th featuring KOFXIII, UMVC3 and USF4. Plus a costume contest for the fun of it. There's bound to be a ton of candy and some great matches.